First Floor 1187 sq. 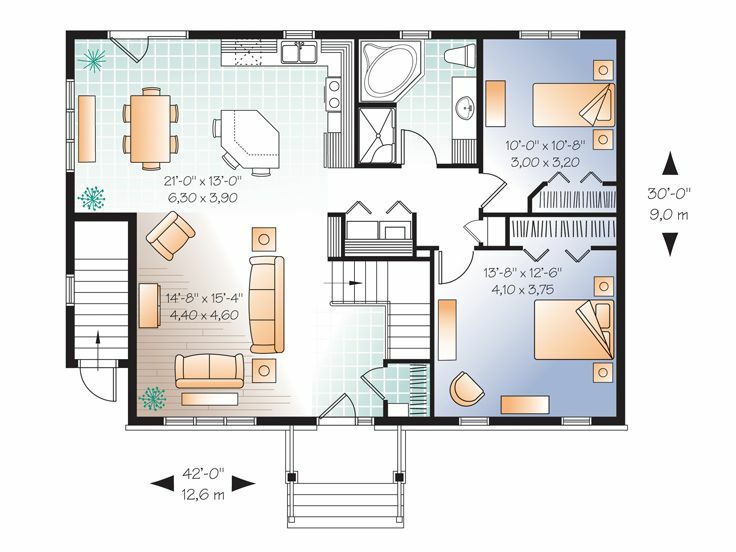 ft.
Lower Level 1238 sq. ft.
Approx. Height 22 ft. 1 in. Fashioned to look like a single family home, this duplex design will surprise you. 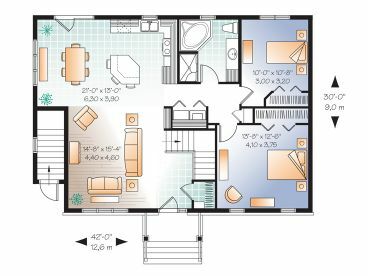 The main living unit composes the first floor and a portion of the lower level. 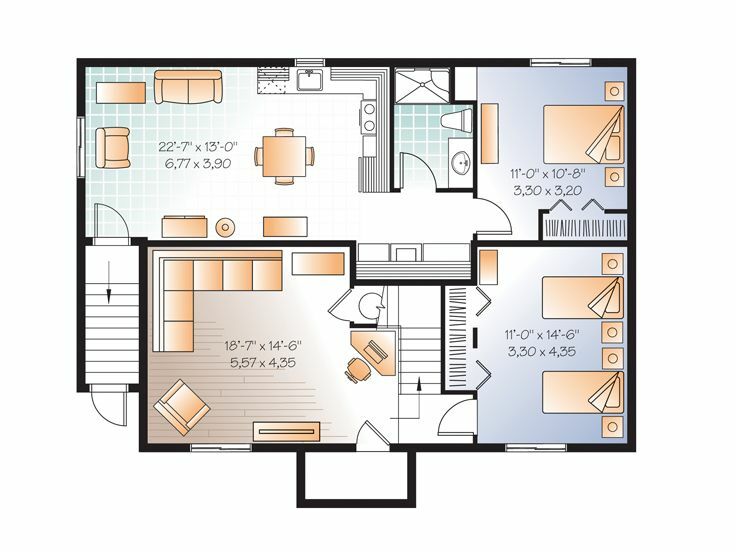 The remaining portion of the lower level is a bachelor’s apartment that could easily be rented out to singles, college students or your own boomerang children. 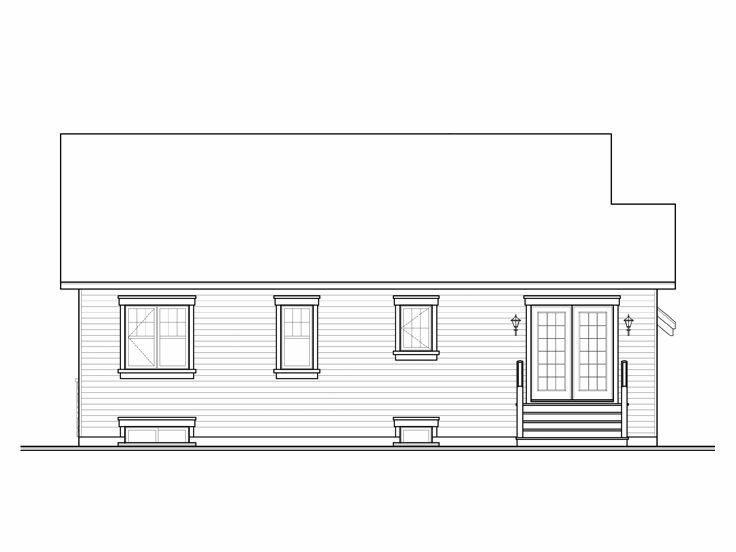 Entering from the covered front porch, a handy coat closet stands at the ready at the entry. The family room, island kitchen and dining space team up creating a comfortable and open floor plan. Two bedrooms and a full bath outfit the right side of the home and a laundry closet is positioned nearby for convenience. 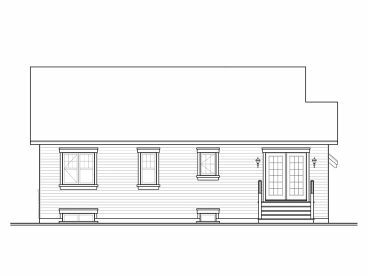 A portion of the lower level is dedicated to the main home/main living unit and includes another bedroom and a family room or recreation area. The back half of the basement is dedicated to the private bachelor’s apartment. It features an eat-in kitchen combined with the living space and offers one bedroom, a full bath and a laundry station. 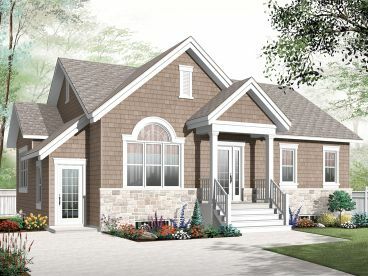 Charming outside and comfortable inside, this multi-family home plan has more to offer than meets the eye.